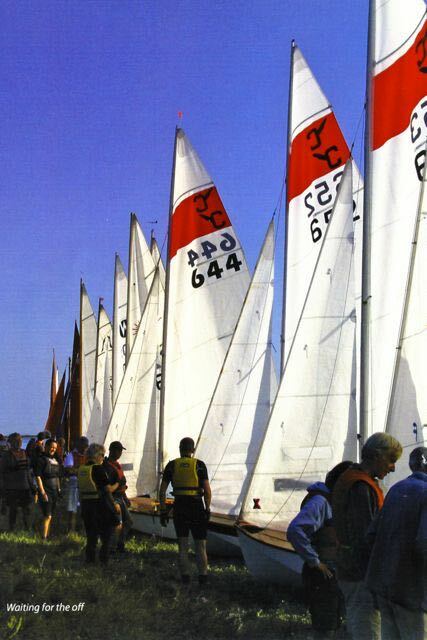 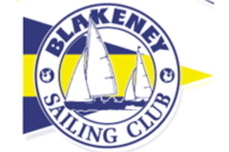 Blakeney Sailing Club is situated on the north coast of Norfolk, UK. 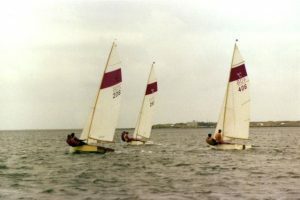 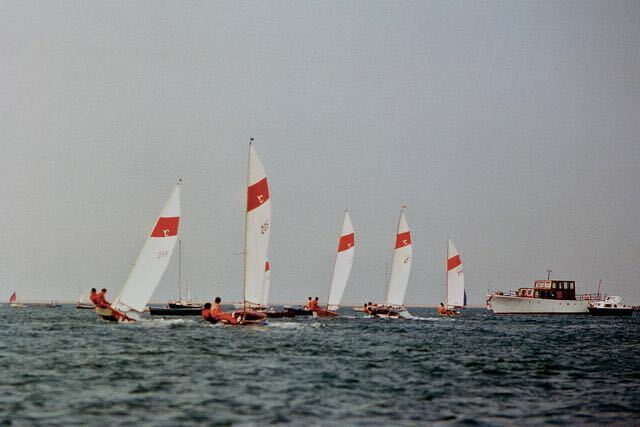 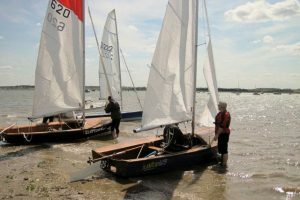 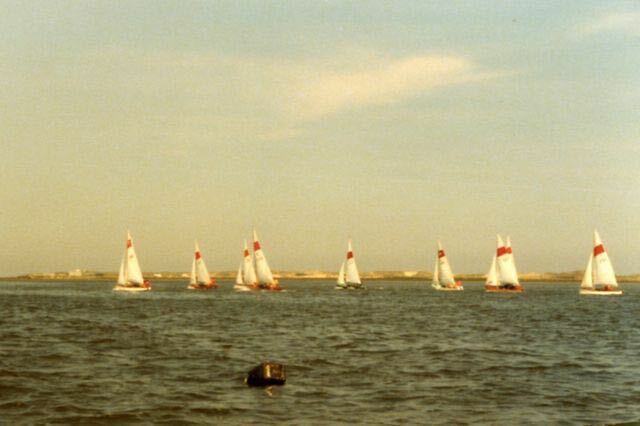 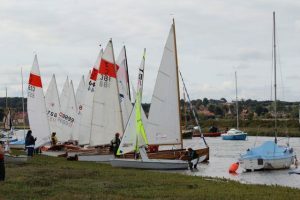 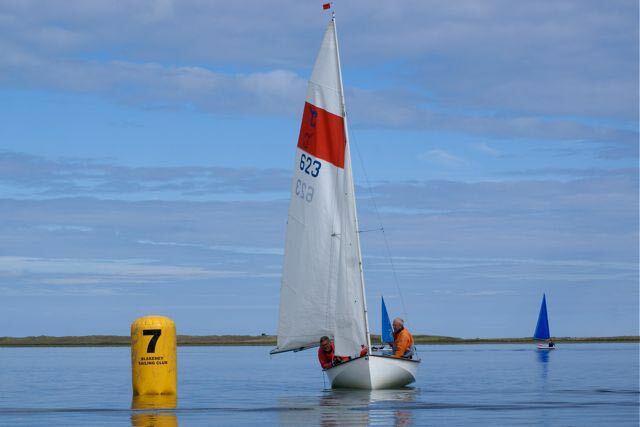 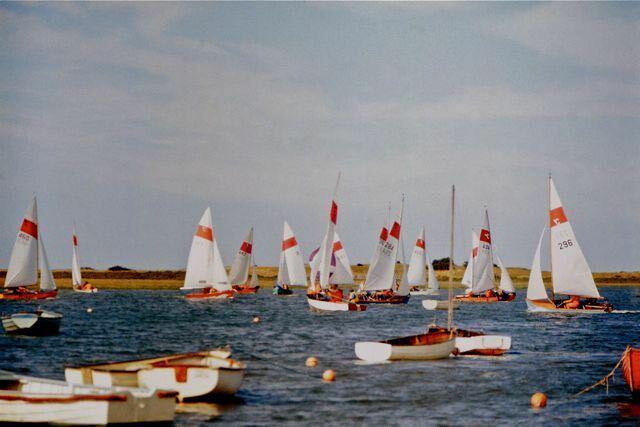 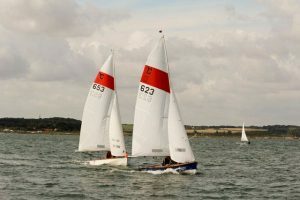 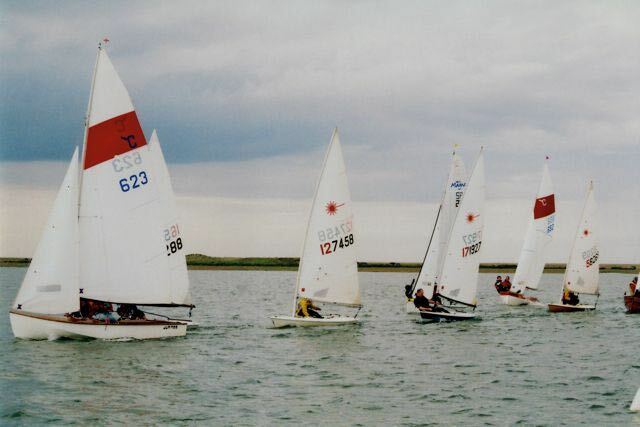 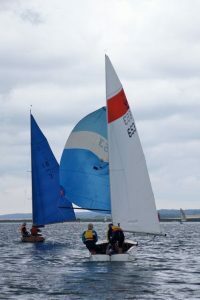 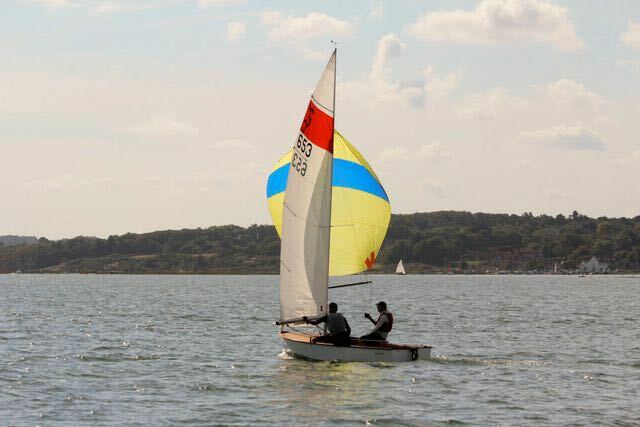 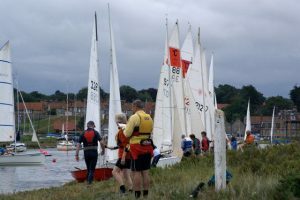 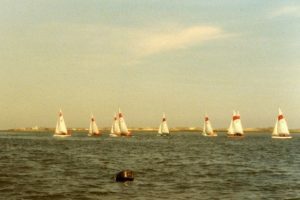 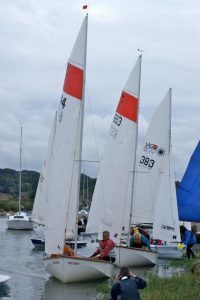 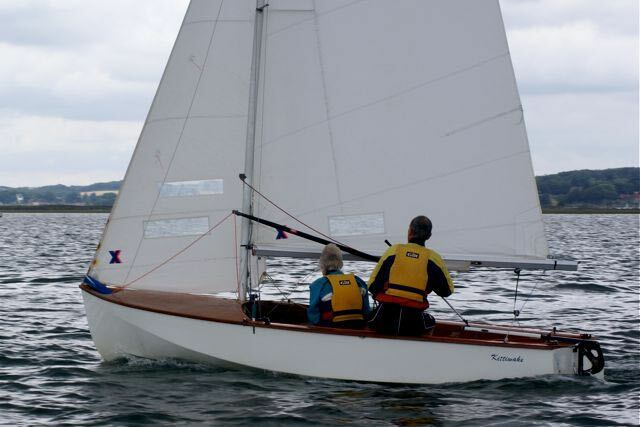 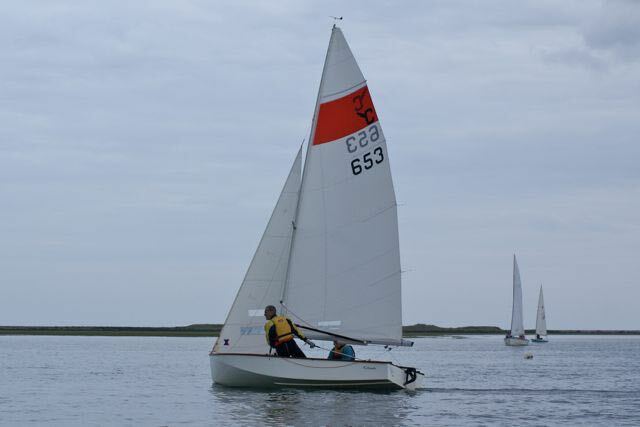 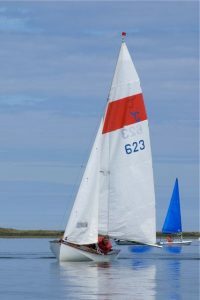 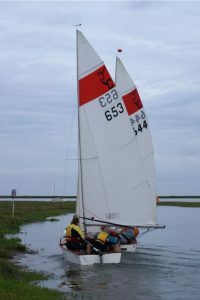 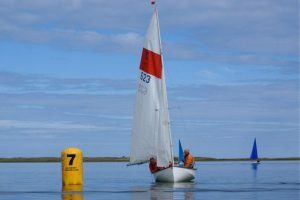 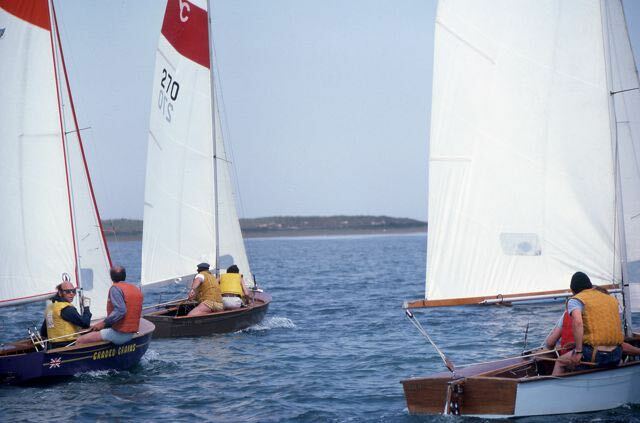 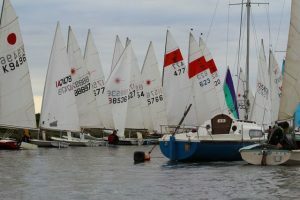 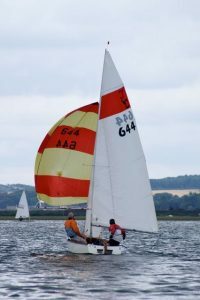 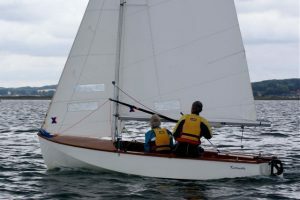 Blakeney S.C. members won the National Championship in several years and hosted the National Championships at Brancaster Staithe in 1977. 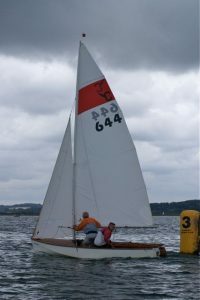 In the 1970’s they dominated in the Canberra Trophy (awarded to the best club at the National Championships). 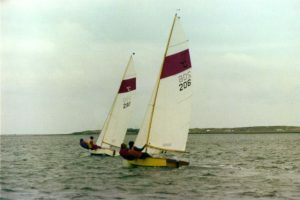 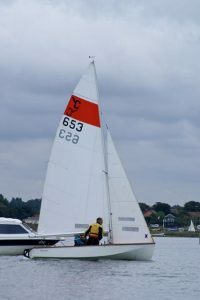 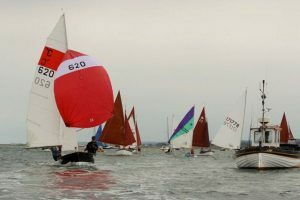 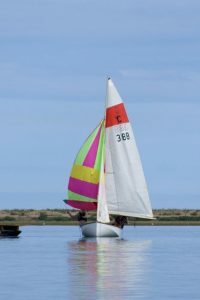 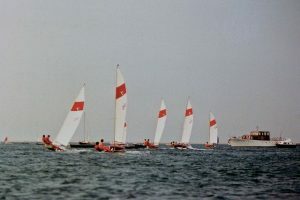 In the 1990’s there were around 8 Seaflys at Blakeney and most of these are still being occasionally sailed in Club races. 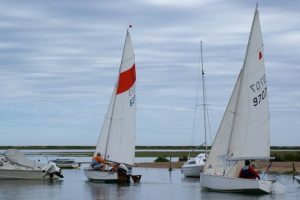 The boats sailing at Blakeney in recent years (since 2010) include C379 Fizzango, C388 Make Time, C466 Wind Waggon, C477 Merlin, C481 Skye, C620 Zippedee, C623 Jupiter, C644 Free Spirit, C652 Summer Breeze, and C653 Kittiwake. 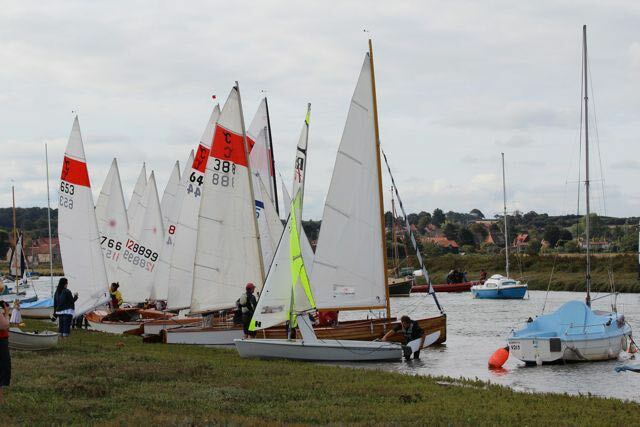 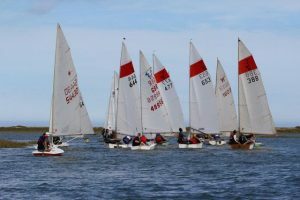 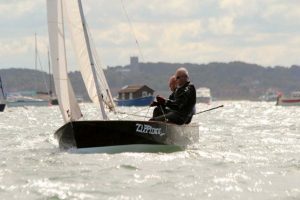 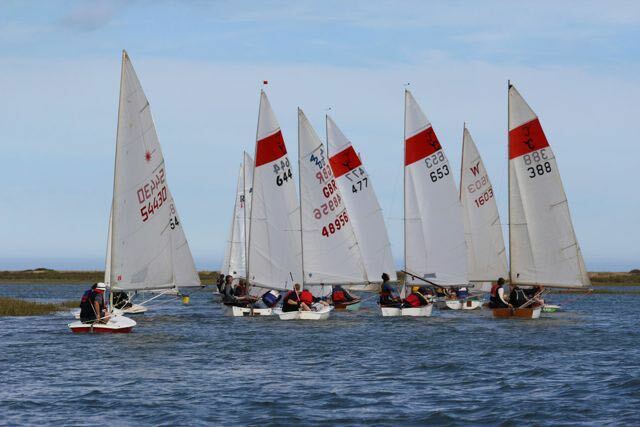 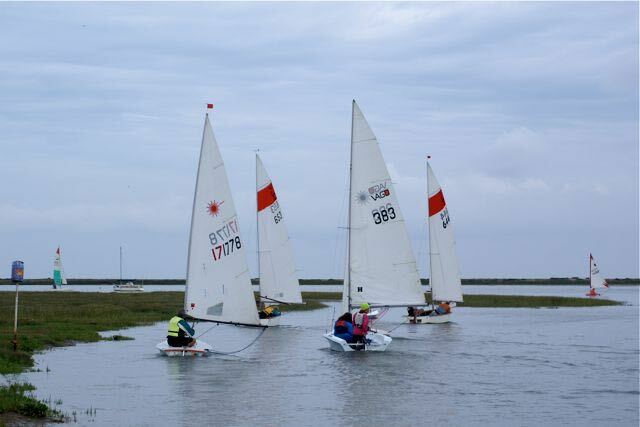 In 2016 a revived Seafly National Championships event was held at Blakeney with 7 of the older boats and three new GRP Seaflys competing. 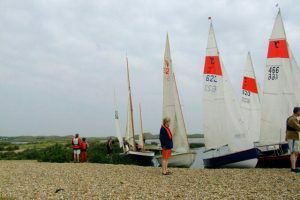 Three of the surviving Seaflys are prominant in the picture which hangs in the Blakeney Sailing Club clubhouse. 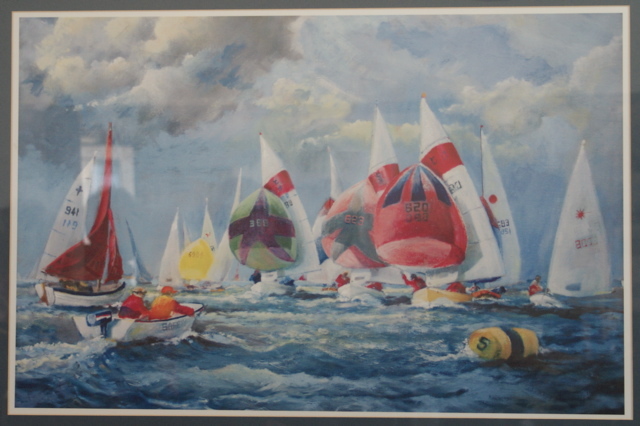 It is a copy of a painting by Roger Smith who was crewing Seafly 620 in the race and painted the scene from memory. 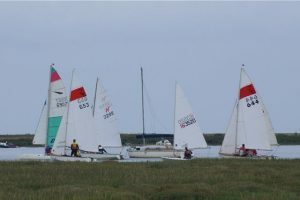 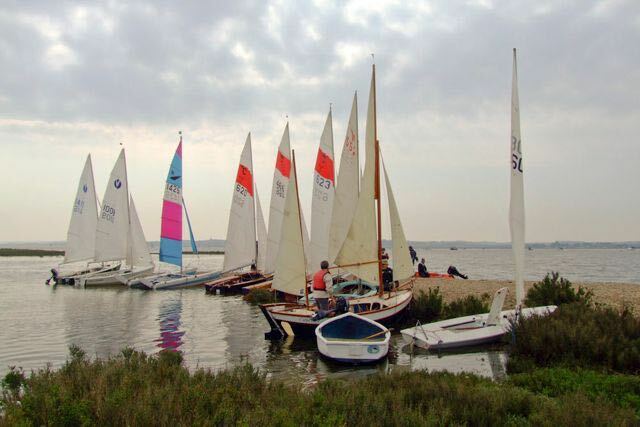 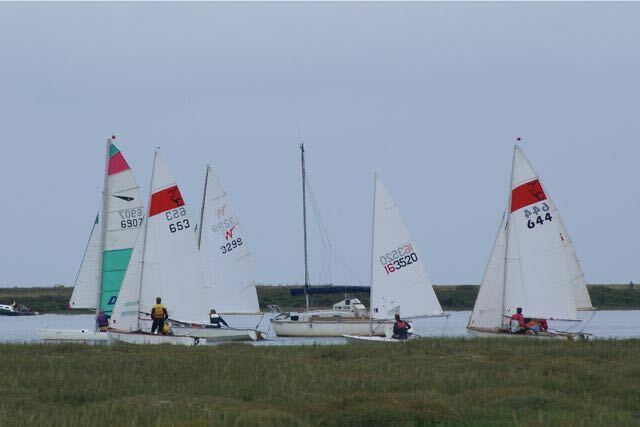 Photos of most of the Blakeney Seaflys can be found on the Blakeney Sailing Club web site and in our Seafly Register. Below are some further photos of Seaflys at Blakeney, both past and recent.